We are, first and foremost, a fundraising event for the Cooper-Young Community Association (CYCA). All of the money raised goes to the CYCA. That money is spent to keep our beloved neighborhood clean, friendly, safe and welcoming to all who come here. To find out more about the CYCA, visit their website. Our festival is regional. That means you can visit any of the brewers within a day’s drive from Cooper-Young, and that's important. Why? From strictly a beer perspective, we believe fresher is better. We also want to support the hardworking local brewers who devote their time, talent and energy to making beers that are uniquely their own. Their beers reflect their tastes, their creativity, their experiences: who they are. Their beers say a lot about the folks in our region, too. We’re hard to pigeonhole, easy to love and ready for celebration. Also, we believe in living where we live. Supporting local breweries is just like supporting local farms, local restaurants, local bookstores and local music. And we like that. 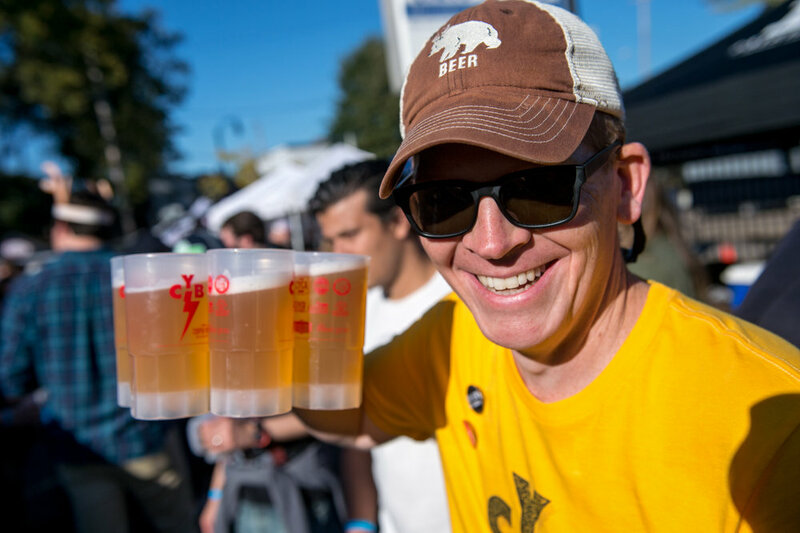 This festival celebrates the brewing tradition that has been alive in America since before its founding. We know there’s a place for big-industry beers, and we certainly enjoy them. But those beers have enjoyed decades of national attention. We believe our friends and neighbors – again, all within a day’s drive – deserve their time in the sun. Thank you, and please come see us.